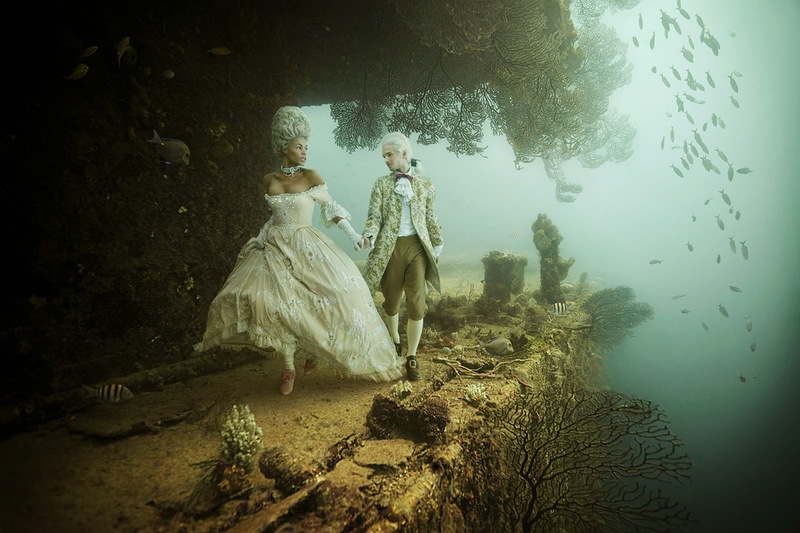 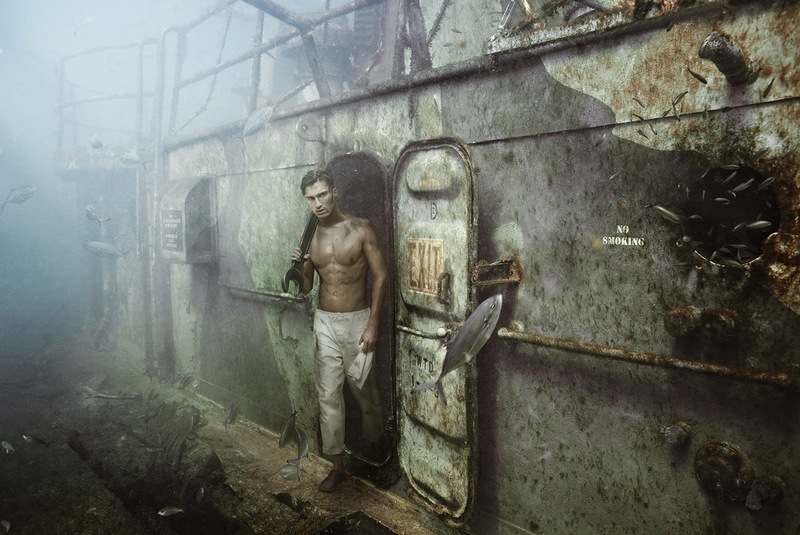 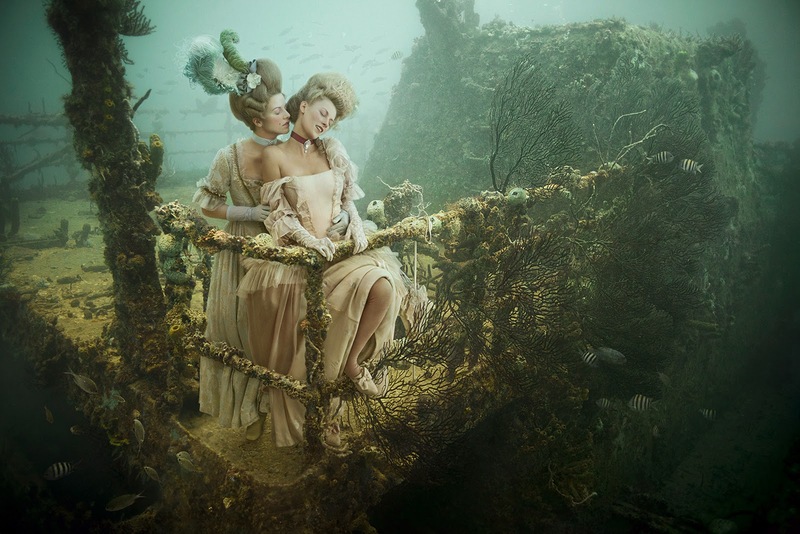 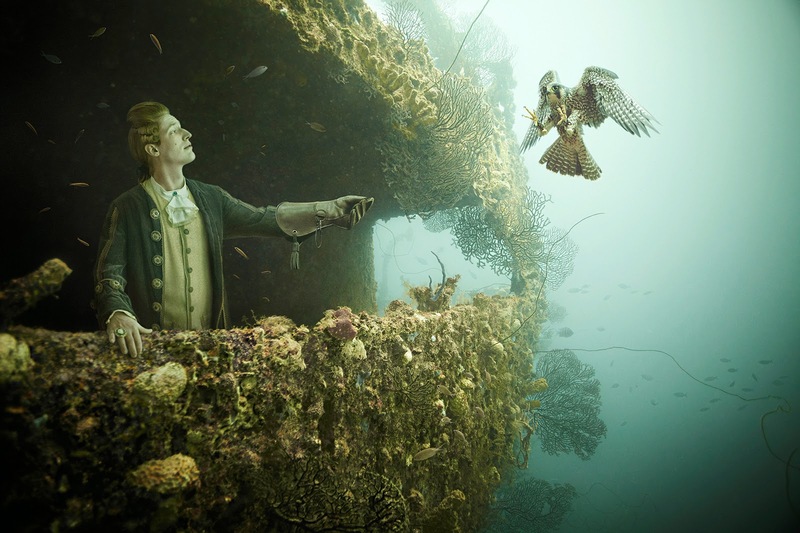 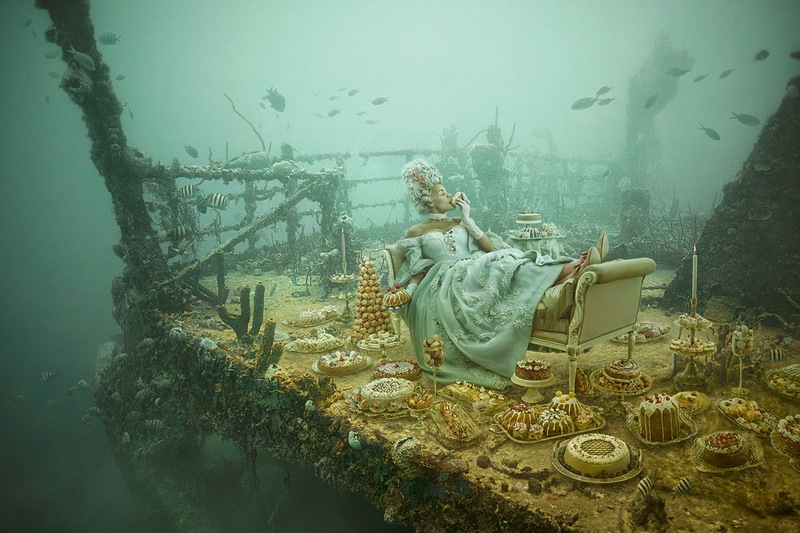 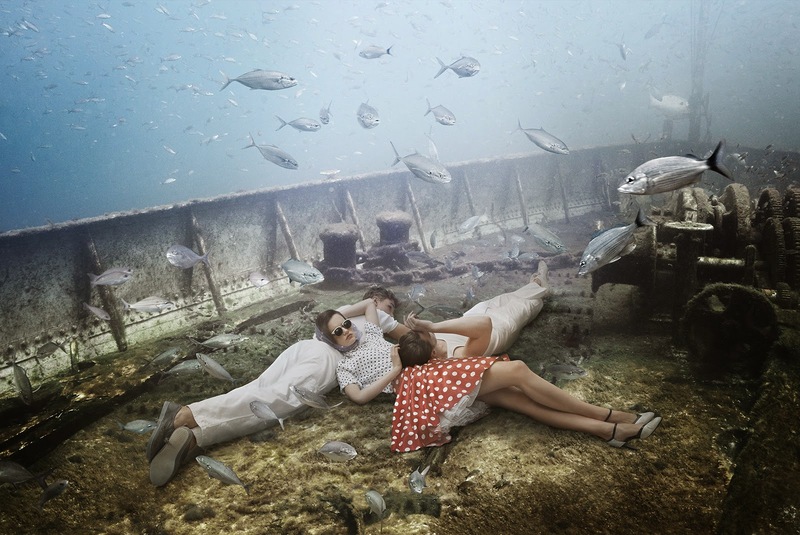 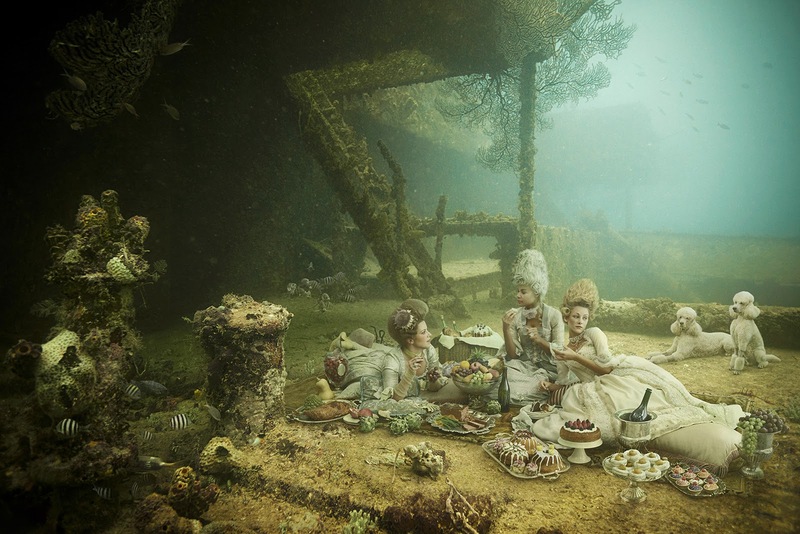 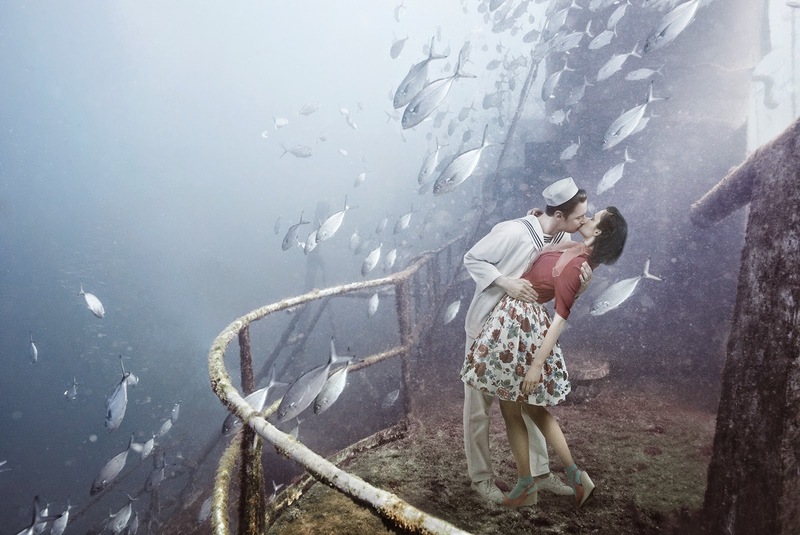 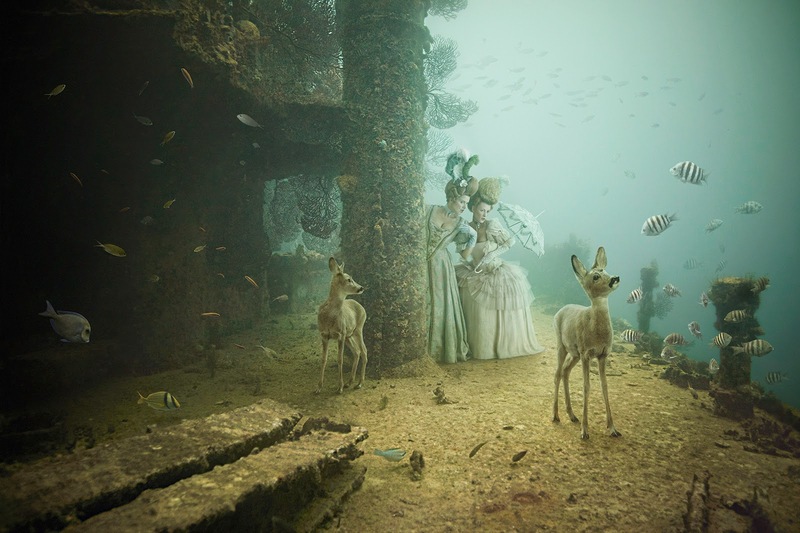 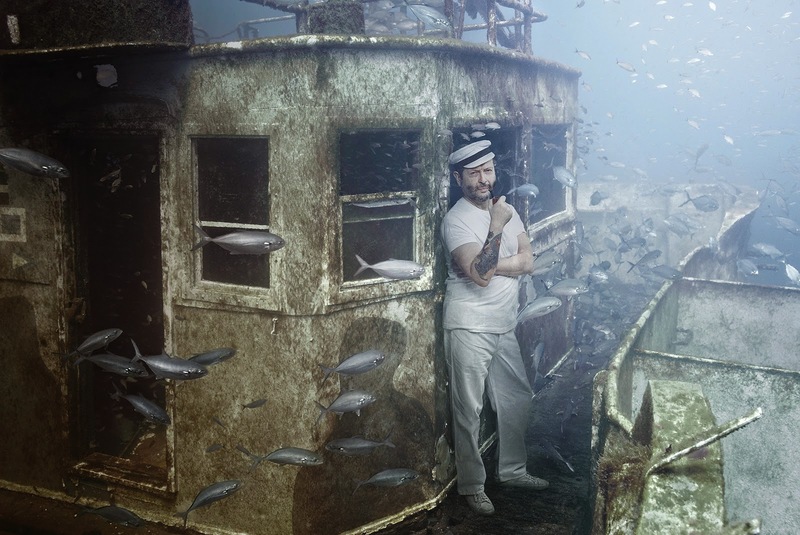 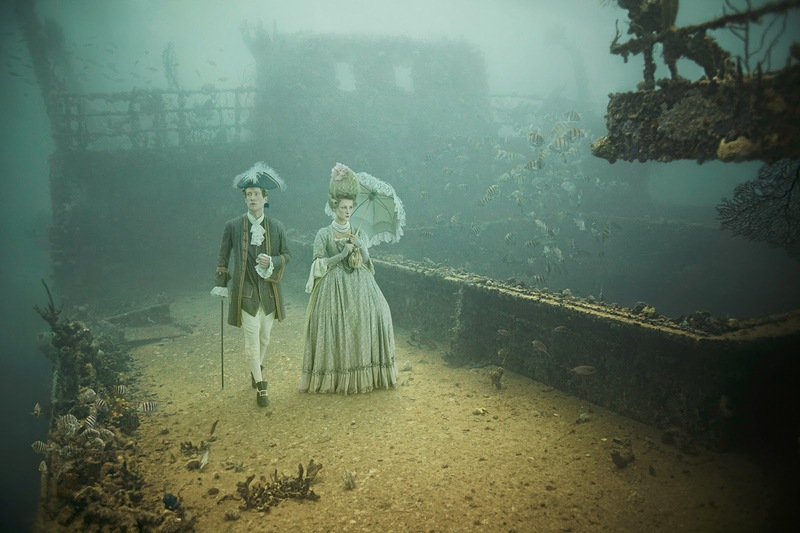 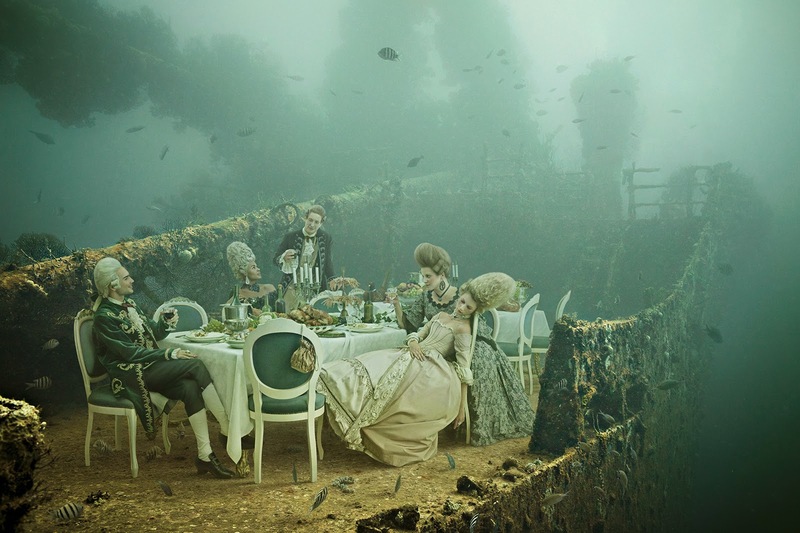 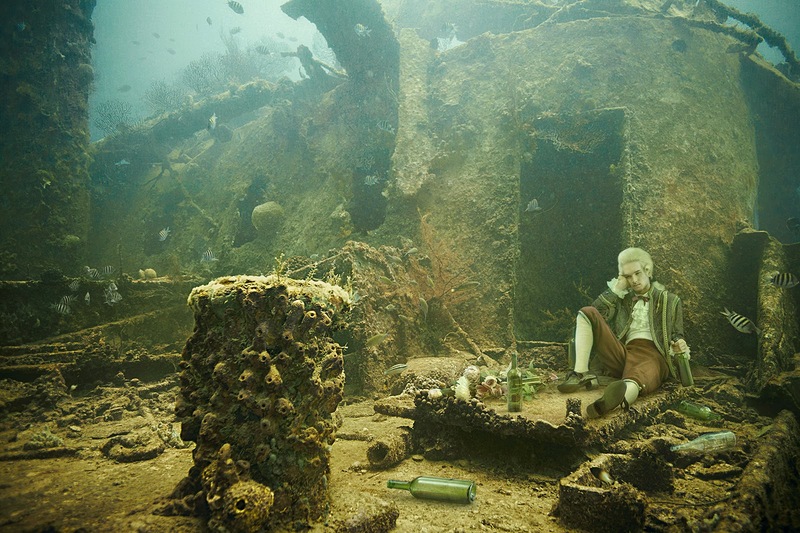 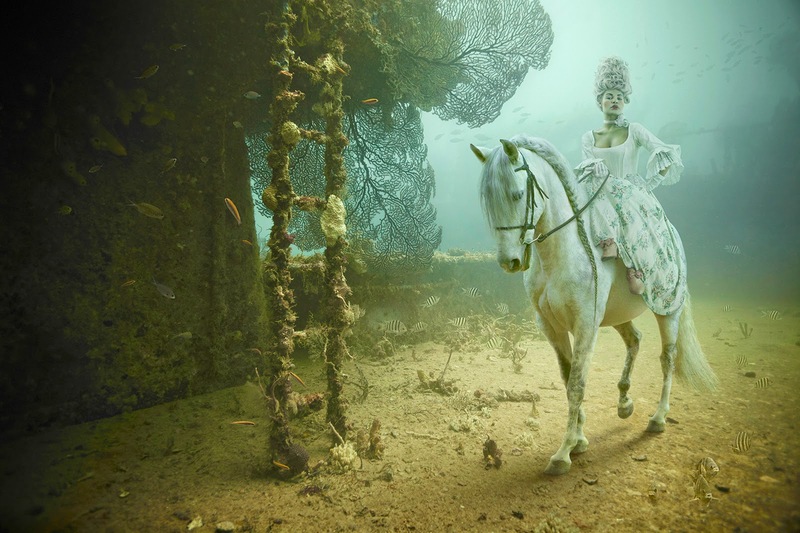 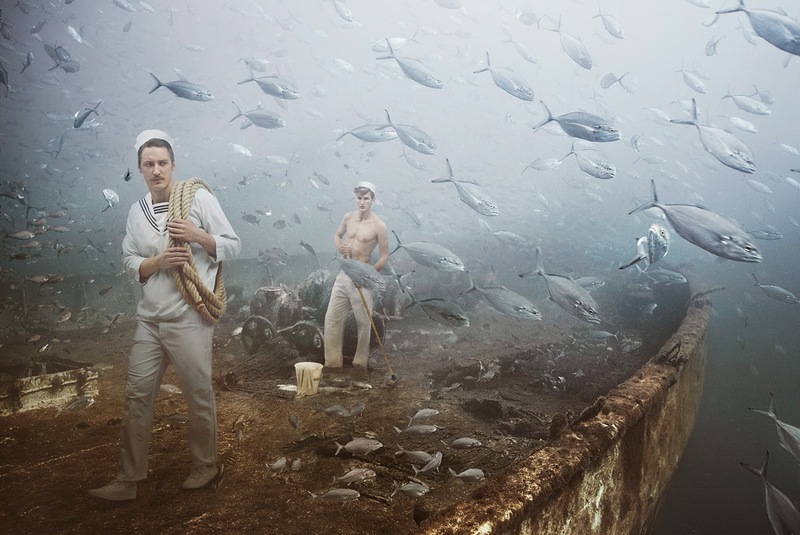 Austrian Photographer and Photo Manipulator Andreas Franke marries old sunken ships with models in costumes, to create lovely surreal images. 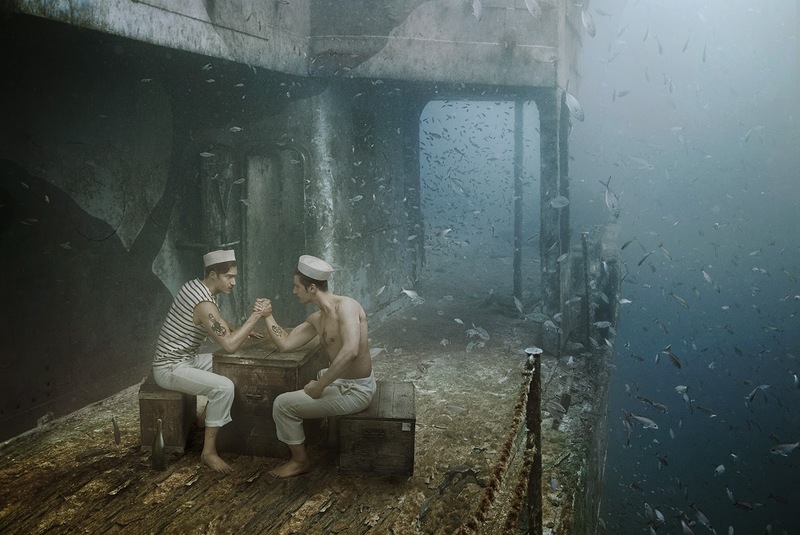 Today we are covering two of his projects, the SS Stavronikita (devastated by fire 20 years ago) and the USS Mohawk, a historic WWII warship. 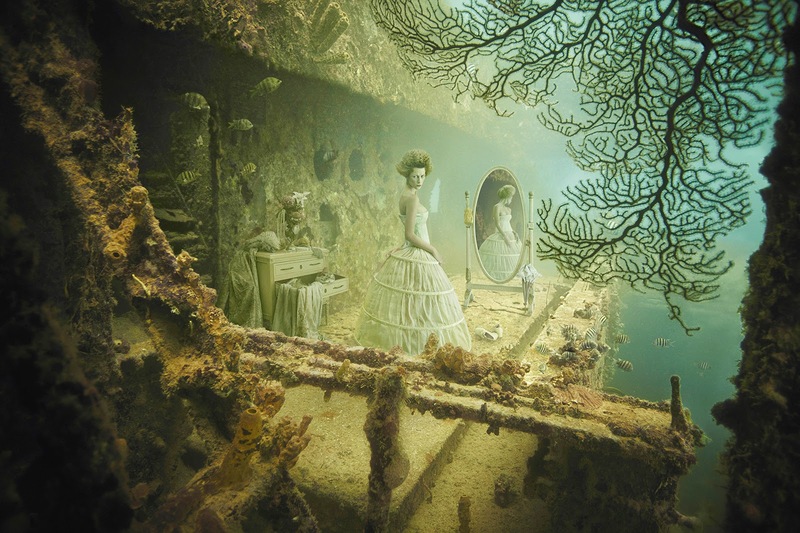 Both ships have been used as artificial reefs for decades, that only divers and the fish were able to enjoy, now all this has changed. 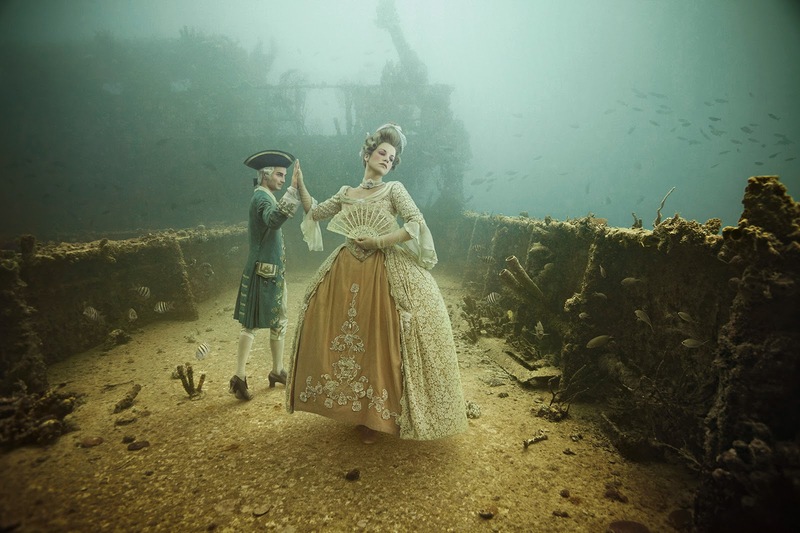 The photos taken on the SS Stavronikita feature models dressed from the Rococo Period (18th century artistic movement born in Paris, France). 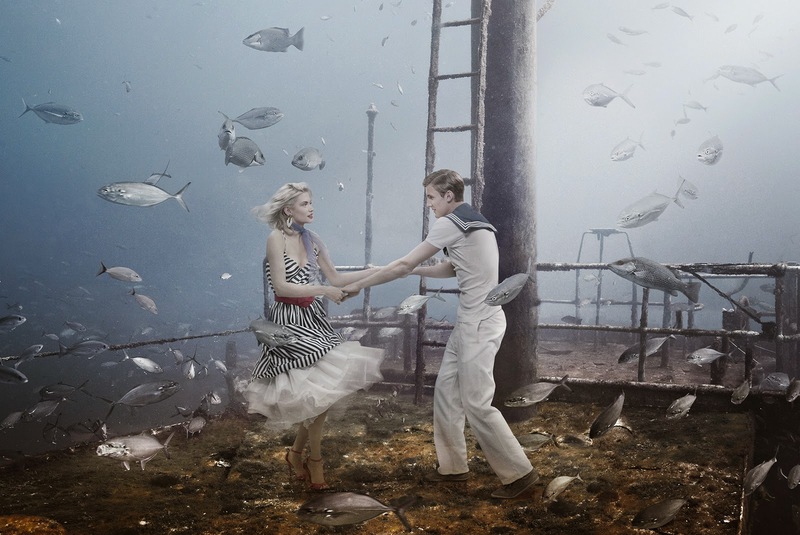 On the the USS Mohawk the scene is a more modern one, taking costumes from the 20th century. 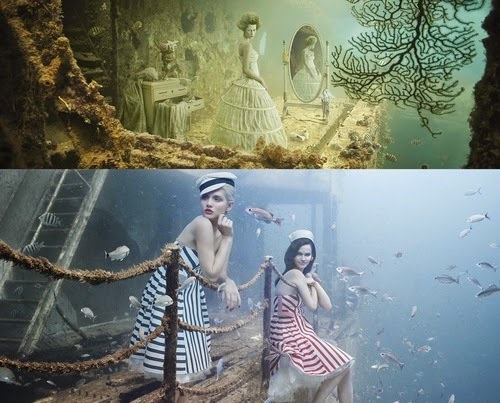 Images of the models, are then expertly superimposed on the images of the ship. 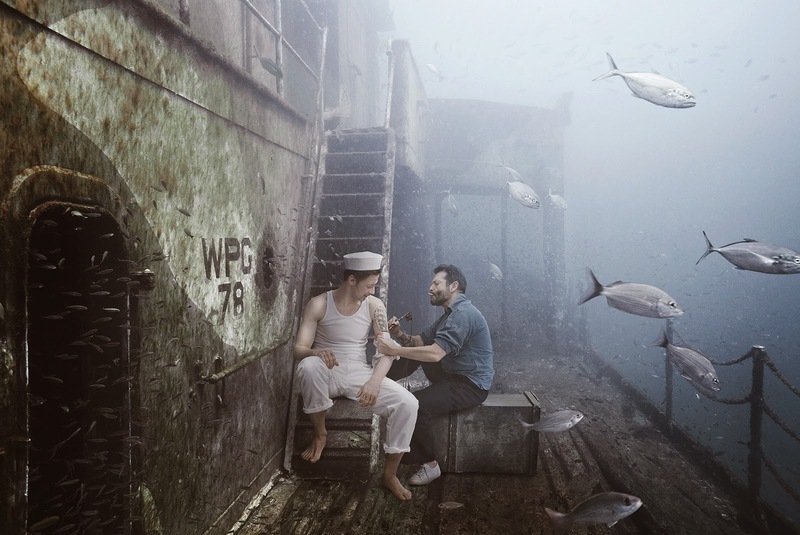 When the project was completed, images of the finished work were encased in Steel-Framed Plexiglas and left on the ships as a record.